BeritaDEKHO - BJ Habibie is known almost as much for being a genius engineer as he is for having been Indonesia’s third president. Along with his son, Ilham Akbar Habibie, he has built an aviation firm called PT Regio Aviasi Industri (RAI), which is dedicated to building Indonesia’s very own aircrafts. 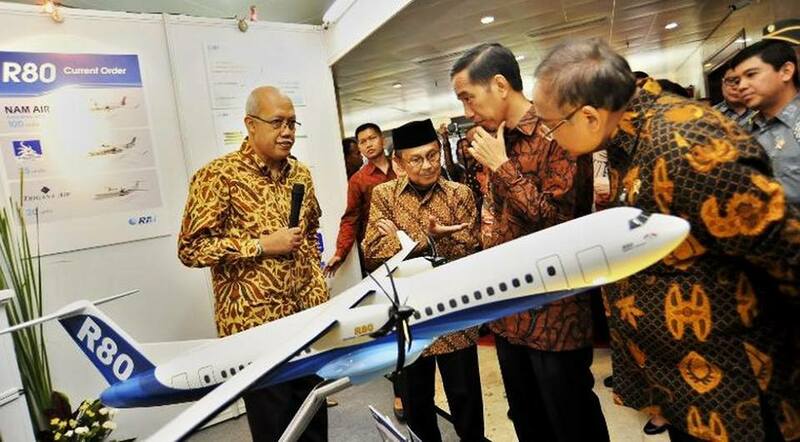 The next big project for RAI is developing the R80 airplane, which was designed by BJ Habibie himself. The company has launched a crowdfunding campaign on Kitabisa in order to get the project off the ground and so that the company can build prototypes for the airplane in the near future. In addition to donating for national pride, giving to the R80 project comes with some other cool rewards. If one donates IDR100,000 (US$7.40) they can have their 4 by 6 inches portrait printed onto the prototype plane’s body. For IDR200,000, donors also get a free t-shirt, IDR300,000 gets them a free hoodie, and IDR700,000 gets them a really nifty green bomber jacket. But the crowdfunding campaign isn’t going to cover all the immense costs of aircraft development production, which is predicted to reach up to USD1.5 billion for the R80. Rather, according to BJ Habibie, donation from the public are needed to show the world that Indonesian have the “political will” to be technologically advanced and have their own line of airplanes they can be proud of. RAI is targeting to have the first R80 prototype in the air by 2022. After securing all the relevant certifications for the plane, the company expects to deliver its first commercial R80 by 2025.